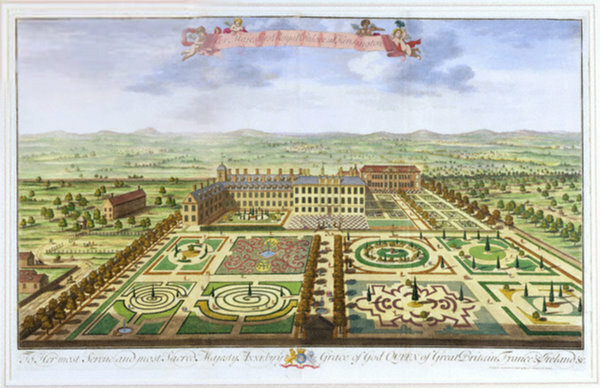 In 1751 the Reverend Joseph Spence, who is not nearly so well-known to garden history as his friend Alexander Pope, penned a list of sixteen “general rules” for the design of landscapes. The first repeats Pope’s all too famous “consult the genius of the place” aphorism, but the other rules are actually more interesting, and I particularly like his recommendation for imitating “Beautiful Nature”, because that’s really what all gardeners, and all gardens, seek to do in their own way. But by modern lights few of us would call Spence's ideal--Pope’s garden at Twickenham (above)--so very natural. 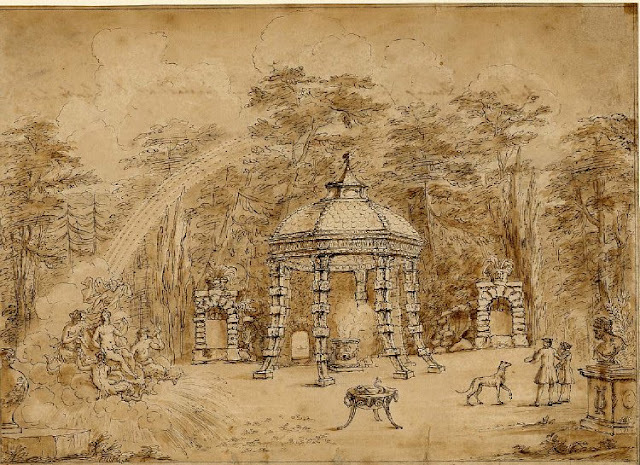 In a way that's what enables garden history: the fact that the sort of Nature we perceive as being beautiful, and therefore want to create in our gardens, is constantly changing. Like notions of what “Beautiful Human” means—the ancient Greeks admired a unibrow and seventeenth century Parisians prized a double chin (and both are more ‘natural’ than our current expectations of a plucked forehead and a timely jawlift)—“Beautiful Nature” also shifts in the cultural winds, towards what society views as important, as precious. 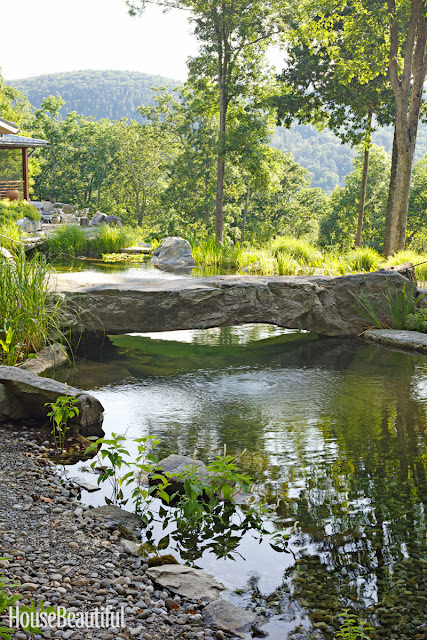 Is a carefully constructed rock bridge more 'natural', more wild, than a shell-encrusted grotto? No, yet I don't think that's a bad thing. 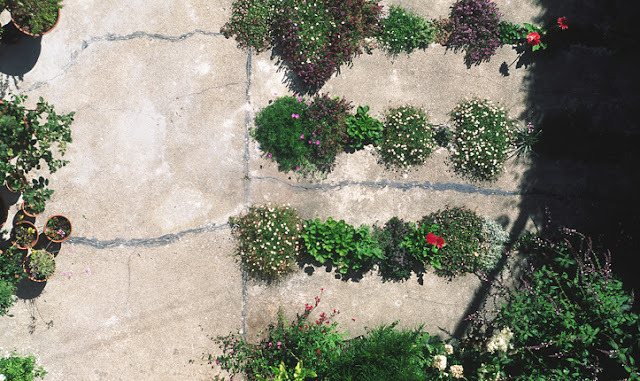 Defining a garden style as particularly ‘natural’ has frequently been a way to scorn previous styles by attaching to them the scurrilous ‘unnatural'. Horrors! But all designed landscapes are places of artifice. Even if (especially if?) they're made of weeds. The award-winning 2009 'Crack Garden' by CMG Architecture featuring aesthetically pleasing weeds. Only in our time would this be considered beautiful. Make no doubt about it, these weeds are carefully pruned and controlled...and quite unnatural. How we achieve our imitation of wild and beautiful nature is always a subject of debate. William Robinson’s 1870 The Wild Garden (available in its entirety on google books) is currently having a resurgence of popularity, but it’s appropriate to question his enthusiastic championing for introducing hardy exotics into native plant areas. Frederick Law Olmsted, that great 'constructor of nature' followed Robinson's ideas, but botanist Charles Sprague Sargent disagreed so fiercely that he demanded that 'his' side of the Boston riverway project be planted only with natives in direct challenge to FLO's side, which mixed in exotics. And I get snippy about the faddish ‘prairie garden’ of European descent, because it doesn't look like real prairie to this native; just like an English perennial bed in a grassy dress. I love 'wild gardens', and my own landscape is wild-ish more by default than by pure intent. But I also want to continue to see other forms of created nature. On this debate, we must let the Reverend Spence have the final word. 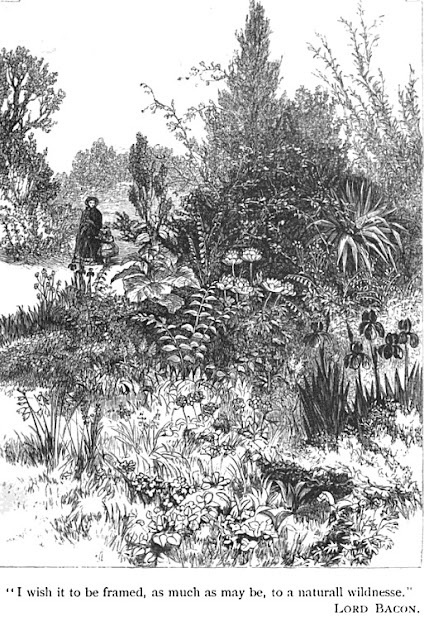 His own landscape had a kitchen garden, and a fruit orchard, and a grassy meadow 'dashed with trees' and sandy paths for walking and flowering evergreens and a long view of the hills. "Variety" he said, summed it up. "Study variety in all things." Your blog posts nearly always leave me satisfied but wanting more. I'm glad that you are posting again. Around here (Los Angeles area) FLO is known more for his urban planning, having designed some cherished older parts of Torrance and the peaceful brick commercial area at Malaga Cove. I find it difficult to marry the images of urban planner with garden designer. A little quick Googling shows that the Olmstead brothers designed the gardens at a nearby hotel, the La Venta Inn, so you've given me a future field trip idea. What a wonderful post. It was very interesting. There are 2 existing examples of Jens Jensen landscapes here in the Detroit area. Fair Lane, the home of Henry Ford in Dearborn Michigan and also the home of his son, Edsel Ford, in Grosse Pointe. I think it is a testament to the solid design that the overall grounds at Fair Lane (the Great meadow for example) are still beautiful despite the fact there are very few volunteers and funds to maintain such a large landscape. I learned a great deal from your post. Thank you. I definitely plan to follow up on the sources you referenced as well. Thank you for this thoughtful post. I've just discovered your blog and I know I'll be a regular reader. As someone who gardens in a small urban space and almost exclusively with native plants, I am often torn between wanting to let nature take it's course and controlling the unwanted "weeds", seedlings and the troublesome spreaders. I've come to the conclusion that there is no such thing as a truly "natural" garden and that's perfectly okay. I love the creativity that occurs in this ancient dance between humans and nature.